Welcome back, homify readers! In today’s Ideabook we will be sharing six fabulous tips to help you fall in love with your home once again. It’s not uncommon to tire of your interior domestic spaces; in fact, it is generally considered inevitable. Over time we change, and our houses need to evolve alongside us. Fashions alter, tastes mature, and our dwellings require refreshing and renovating in order to suit our lives. 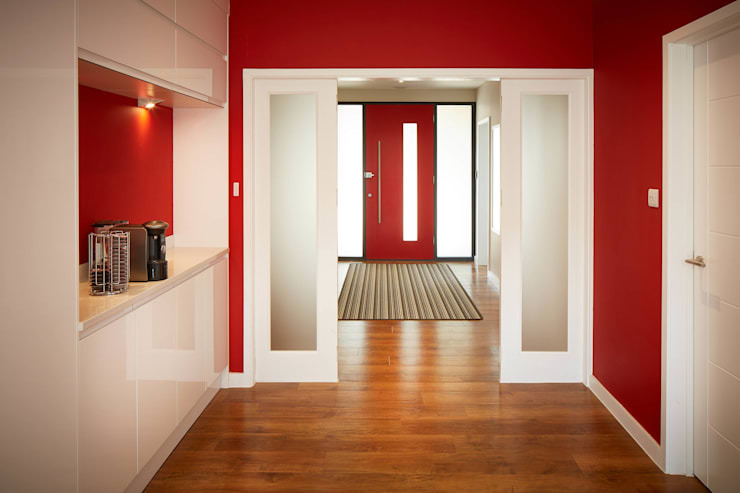 If you have grown tired of white walls, it might be time to inject a burst of colour and shake things up a little. By painting your walls, you can easily (and relatively inexpensively) change your space. Don’t get bored with your room, alter the wall hue and impart some personality into your home. One of the most economical ways to give a completely different air and ambience to your interior space is to remove walls and integrate spaces. One of the most popular areas to do this is the kitchen and dining room. 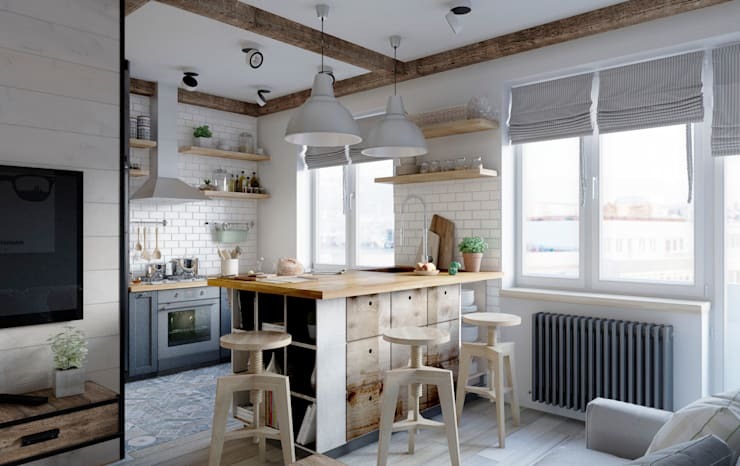 These days we tend to prefer open plan interior areas, and integrating a cooking space with an eating area provides a more comfortable and enjoyable home. This example is a great demonstration of a compact apartment that boasts an open and airy layout thanks to the removal of interior walls. Moveable furniture is an ingenious way to alter a domestic environment with zero effort. Highly practical for hosting parties or gatherings, moveable pieces of furniture allow you to rearrange your floor plan so that there is more space for guests, as well as providing an area to keep cups, glasses, bottles, etc. When looking at furniture on casters or wheels, look for some popular options that might include libraries, coffee tables, dining tables, dressers, bars and more. Have you had enough of your boring or dull bathroom? If the answer is yes, then consider looking for some unexpected objects and accessories. 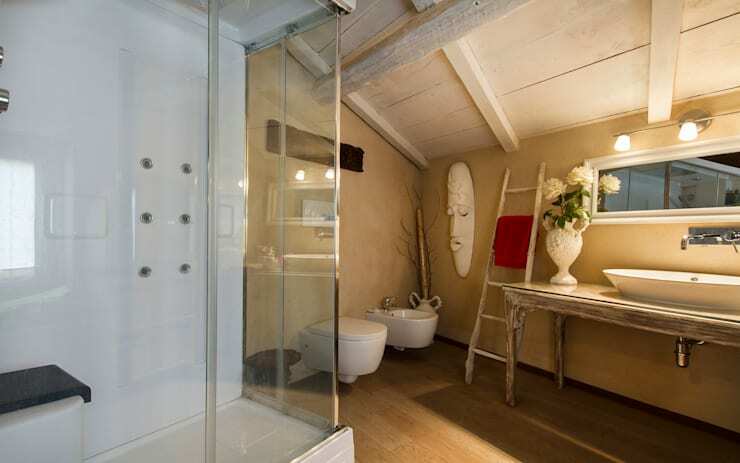 This bathroom was renovated using an African mask, a ladder to hang towels and a shabby-chic table with vase. The result is a welcoming and enjoyable room, which boasts a renewed and inviting aesthetic. Try hanging some pictures, purchase an enchanting lamp and employ stylish embellishments to ensure your space is unique and original. Do you require some assistance in accessorising your bathroom? Consider chatting to a bathroom planner and gaining some expert advice! Wallpaper is another wonderful solution to completely refurbishing and renewing a room in just a few hours. These days the wallpaper market is increasingly broad and you will find really creative, original and fun options easily. To enhance your wallpaper even further, complement it with cushions and throw rugs in similar tones, and if you need a little inspiration, check out the gorgeous example above! 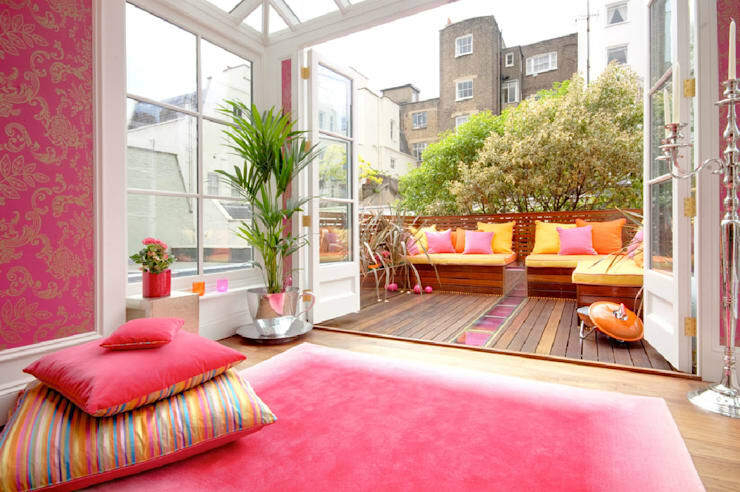 To make an immediate difference to your overall aesthetic, try adding touches of colour. Carpets, curtains, cushions, vases and other ornaments are a fabulous place to begin, and will create a welcoming, and totally renewed ambience. Take some of your cues from the example above and chose a bright yet whimsical palette that breathes new life into the space. Do any of these tips tickle your fancy? Let us know how you would renew your home in the comments below!